With our world becoming increasingly focused on being environmentally friendly and sustainable, using renewable energy is more important now than ever before. Renewable energy is clean; it produces far less wastage and uses natural sources, such as the sun, ensuring durability. At Falcon Energy, we know how important renewable energy is to sustainable property or business owners and have a range of services plus great advice to offer across East and West Sussex, Surrey, Kent and nationwide. Our design software will help you find the best system to suit your project and our experienced team are on hand to offer the very best advice and knowledge on the right renewable energy for you. As well as a range of renewable energy services and installation solutions, Falcon Energy also have the ability to offer first and second-fix electrical and plumbing, gas, heating, boiler repairs/install and servicing works. We offer a full-rounded service that you won't find anywhere else. All of our technicians are fully trained and qualified in relevant fields needed for our industry so you can rest assured you'll be in safe hands. What's more, our team are MCS accredited suppliers and installers and can operate across the South East; no job is too big or too small for us. The main types of renewable energy that you may have heard of, or can benefit from are solar (photovoltaic and thermal), biomass, air and ground heat pumps, wind turbines, hydro power and photovoltaic thermal power. For homes and construction the main types are solar, biomass and photovoltaic energy. As renewable energies don’t pollute, they are fantastic for your energy portfolio and can also save costs in the long term after installation. Utilising natural energy such as sunlight and heat reduces the use of expensive fossil fuels and this has a positive impact on the environment as a whole. Renewable energy also delivers energy to the end user or homeowner directly; they don’t require power lines or complicated, lengthy distribution. It is presumed prices for renewable energy will decrease in the future and governments will reward the use of ‘clean energy’. 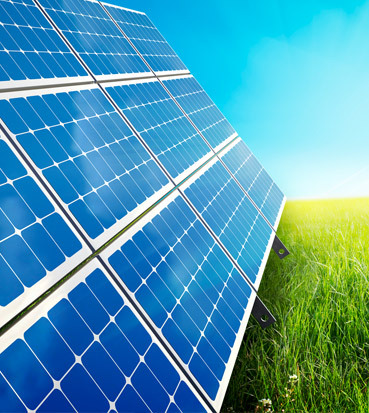 Solar Photovoltaic is a system of solar cells that capture sunlight and convert it directly into electricity. They are most commonly seen as solar energy panels and can installed on the roof of properties to provide energy. Whilst you can’t get a total household’s energy from Solar PV without storage batteries, it does reduce energy bills. A 4kW generation capacity is the most popular option. It can usually be installed without needing any special permissions. In terms of renewable energy, it is the most accessible form of technology and is largely maintenance-free for homeowners. As planning consent is not normally required (this should always be checked), it can be the best option to install. To maximise the energy produced by the panels, they should be kept clean and have regular checks of wiring and panel integrity. They should also be kept free from shadows, for example, from neighbours trees. Once working, they provide clean energy and reduce energy bills from more traditional sources. You can use an app to flag up any issues with your panels so issues typically don’t go undetected. Initial setup and installation costs of a 4kW array system starts from roughly £6,000, but it’s dependant on the scale of the system. After 10 years, there will be a cost of £600-£1000 to replace the inverter unit to ensure maximum energy is still being produced. This cost is typically ‘earnt back’ in 10-12 years. As these systems last 20 years, the remaining 8-10 years provide free energy. Please contact us today to find out more about our Renewable Energy services or any additional advice plus a competitive quote; just call 01403 253439 or email info@falconenergy.co.uk. Our team are on hand to offer guidance and unrivalled expertise.